This is a welcome move from the company as hardware vendors are often slow in rolling out the latest Android updates to the users. By rolling out updates faster and allowing users to experience the latest versions on one device would surely help LG get an edge over rivals. “Stable and consistent upgrades will demonstrate to our customers that LG smartphones have long and reliable lifespans,” said LG Electronics CEO Mr. Jo Seong-jin, in a press release. The new facility is located in LG’s new research and development campus in Magok-dong, western Seoul. The first task of the LG Software Upgrade Center will be to manage the Android Oreo rollout for the G6 phone. Many other major Android vendors have already updated their flagship devices with the latest Android version. Google announced the Android Oreo last September, but it started rolling out to a few LG devices last month only. Getting Android Oreo out for the Korea-based owners of the G6 before the end of this month is the priority of the LG Software Upgrade Center. Thereafter, it will work on making the Android version available to the other parts of the world. A few months back, Google also released a similar project – called Project Treble – to encourage faster updates from the smartphone manufacturers. Project Treble allows smartphone makers to send updates without waiting for the chip makers to send the needed support. Apart from handling the Android updates, the LG Software Upgrade Center will also oversee the stability update. Effectively managing the stability update would ensure that the latest features work as expected without compromising on the device’s performance. LG will eventually use the facility to roll out updates faster to all the countries where its smartphones are used. LG’s new facility will ensure a “consistent user experience on LG devices by continuously testing the stability and compatibility between hardware and software after updates.” Also, the company said it is investing “significant” resources into this Software Upgrade Center. So, it appears that the Korean company is working on a model similar to Apple and Google. Both tech firms are known for releasing simultaneous updates to their handsets worldwide. 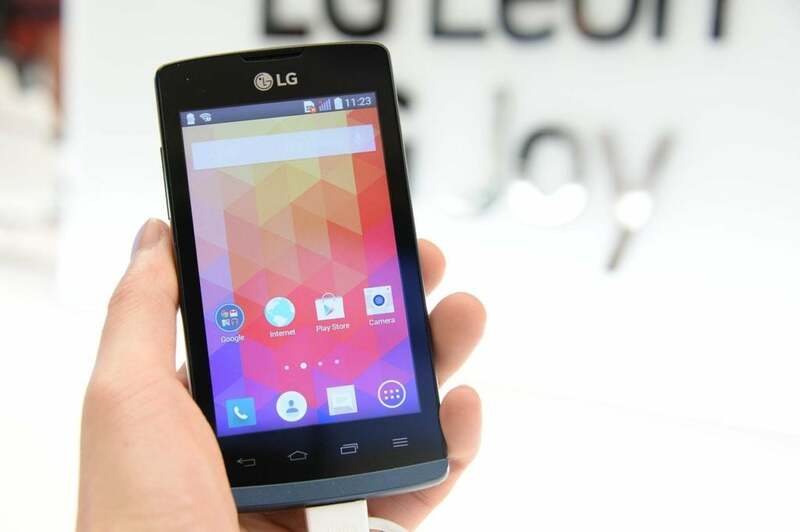 Also, the move will help LG to get an edge over rival Samsung, which is known for delaying software updates. The opening of the LG Software Upgrade Center is among the first major strategic moves from the new LG Mobile CEO Hwang Jeong-hwan. The new CEO, who took the job only last year, was previously at LG’s R&D division. He is facing a daunting task to revive LG’s mobile unit, which currently is running into losses. Though LG expects a record first-quarter in terms of financial results, its mobile unit is expected to post another quarterly loss. Going ahead, the losses may narrow or even fade away with some help from this new LG Software Upgrade Center. It must be noted that the new facility comes just days ahead of the launch of the LG G7 ThinQ. The LG G7 ThinQ will arrive in the U.S. on May 2 and in South Korea on May 3. The new LG facility would assure the potential buyers of the best mobile experience by pushing out updates quicker. The G7 is expected to come with dual cameras on the back and a fingerprint scanner underneath those cameras. The handset would feature a Snapdragon 845 processor and run Android 8.1 Oreo out-of-the-box. The LG G7 ThinQ will come with several artificial intelligence features, a bezel-less display and the controversial notch at the top. It is the second LG phone with ThinQ branding. LG V30s ThinQ was released earlier this year, and was an update to the original V30. LG was reportedly planning to release the G7 at the Mobile World Congress in Barcelona earlier this year. However, the company changed the plan at the last moment reportedly due to some last minute design changes. LG’s flagship would compete with the likes of the iPhone X, Galaxy S9+, Huawei P20 Pro, and Xiaomi Mi Mix 2S. OnePlus is also expected to launch the OnePlus 6 early next month.